Agnes Monica is an Indonesian actress and singer, who has been active in the entertainment industry since the age of 6. She has signed a deal with The Cherry Party, the US label of Sony Music Entertainment. She has released a number of studio albums and 2 international singles so far. For her singing contributions, she has become the most awarded singer of Indonesia, and also served as the judge of the Indonesian Idol in 2010. Born in a Chinese family, Agnes’ father, Ricky Muljoto, is a former basketball player, and her mother, Jenny Siswono, is a former table-tennis player. She attended a number of vocal courses during her childhood, and also sang in church. Her first child album, Si Meong, was released in 1992 at the age of 6, and 2nd album Yess! in 1995, followed by Bala Bala in 1996. She also hosted a number of children’s programs, including Diva Romeo, Tralala-Trilili and Video Anak Anteve. Agnes started her acting career in 1999 by appearing in Mr. Hologram, and Lupus Millenia. Her role in Pernikahan Dini in 2000 transformed her image from a child actor to a teenage actress. Agnes Monica signed a recording deal with the Aquarius Musikindo, collaborated with Yana Julio, and released Jumpa Lagi in 2002. She released And the Story Goes in 2003, Whaddup A.. ?! 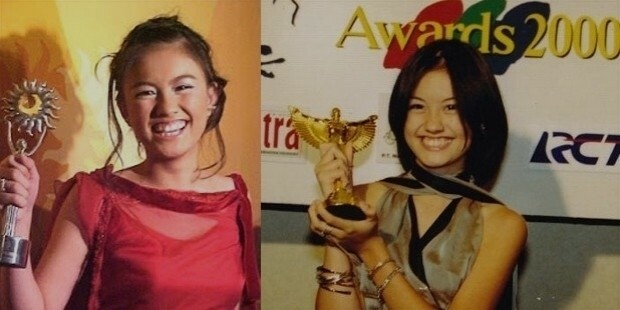 in 2005, Sacredly Agnezious in 2009, and Agnez Mo in 2013. Alternatively, she also continued with her acting career with roles in Romance in the White House, Bunga Perawan, and The Hospital. In 2010, she judged the Indonesian Idol show, and became the MTV EXIT ambassador for combating human trafficking. After ending her contract with Aquarius Musikindo, she released her 1st album in 2011, named as Agnes is my Name. In addition to these, Agnes has also released a number of international singles. Agnes does not talk about her relationships very easily, and has stated that having a boyfriend is not her priority. However, she was revealed to have a relationship with Dirly in 2007. In 2009, she was linked with Dr. Neil, in addition to Rezky Aditya and Daniel Mananta. She has also been rumored to have relationships with Denny Sumargo and Bing Chen. With so many awards and accolades, Agnes Monica has become the most awarded singer from Indonesia in the music industry. She has also raised funds for 2004 Tsunami victims in Aceh, and 2006 earthquake victims in Java. She is a spiritual person, and makes regular donations and relief efforts for the good of the society. Agnes’ acting and singing contributions have brought her a number of awards and accolades, including AMI Award for Best Pop Female Solo Artist in 2009, 2011 and 2012, Indonesia KCA for Favorite Female singer in 2008 and 2011, Mnet Asian Music Award Asian Artist of the Year in 2012, and many more.